At the age of 27, I was a glowing new mom. My son was a healthy seven-pounder with tufts of strawberry-blond hair. My days were spent holding him because I didn’t want to let go. My nights were spent with him laying beside me. The only way I could fall asleep was to have that baby with me at all times. At the same time I became a mom, something else choose to be with me 24 hours a day. It was the sound of ringing bells in both my ears—a sound that only I could hear. It was the growing awareness that voices had become softer. Hearing loss chose me, but I didn’t want it to. Adult-onset hearing loss and tinnitus (ringing in the ears) are more common than anyone cares to admit. Causes: noise exposure, illness, hormonal changes, genetics or, in my case, all of these things. Are you dealing with a hearing loss you weren’t born with? These three principles have helped put my mind at ease. 1) Hearing loss may shape who I am now, yet some things never change. If I can remember the things about myself that remain the same—my dreams, goals, personality traits—then I know that hearing loss hasn’t defeated me. Before my hearing diagnosis, I wanted to write. Eleven years later, I write. I once dreamed that I would have a healthy family. Eleven years later, I have three healthy children and a loving husband. I’ve always enjoyed being around people. Hearing loss or not, that hasn’t changed. 2) Hearing loss heightens my compassion—an awareness of other people’s needs. If I stop focusing on what I don’t have, I realize that a lot more people have far less than I do. How can I help them? My focus instead shifts from my hearing loss to reaching out to other people. My ears may be defective, but my hands and feet work fine. I’m still able-bodied to serve others. 3) Hearing loss is a community. Among those I can reach out to are millions of people worldwide living with hearing loss. I have found a sense of community through such groups as the Hearing Loss Association of America, Association of Late-Deafened Adults, the SayWhatClub, and many more organizations online. I can use my skill (writing) and my compassion to touch the lives of this growing community. In doing so, I know that I am not alone. If you substitute the words “Hearing Loss” in the above paragraphs with “My Life,” you can put into context what a gift my hearing diagnosis has been. My senses of compassion, community, and change are heightened. I like that aspect of hearing loss. How has hearing loss shaped who you are today? I am Paul Nichols’ wife and I recently found out that I have 50% hearing loss to high pitches, which means I have difficulty understand others speech, often. My lower hearing is almost normal. If I am sitting across from someone at the table there is usually not a problem, but I am having difficulty in a group setting or in the car with my husband. I often have to ask people to repeat themselves The audiologist said it would cost around $4000.00 for aids and I have no insurance that will take up that cost. He also said if I wait another two years I might get to the point that aids would not help. Is this true? Thanks for your post. I appreciate your positive outlook. Gloria – Thank you for reading my story and commenting. I am going to private message you about some options you may want to consider with hearing aids. In the meantime, I encourage you to visit and consider becoming a member of the Hearing Loss Association of America (HLAA). The website is http://www.hearingloss.org. There is a chapter in our area, if you would be interested. I look forward to keeping in touch, and please know that I am here to answer any questions you may have about getting help for your hearing loss. I was thinking about this only this morning: how different would I be if I didn’t have a hearing problem? To be honest, I don’t think I would be much different, I have a lovely family and the job I always wanted. If anything I would say that I would be more outgoing if I didn’t have a hearing loss, I know I shouldn’t but I tend to avoid conversation sometimes, it’s just easier sometimes. I agree wholeheartedly with you about compassion, I am definitely more aware of other people’s disabilities and needs. 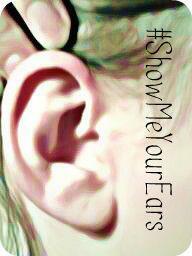 I also try to spread the word and educate people about hearing loss through my website and other means. I feel that given there are so many HoH in the world who do not wear a hearing aid we all have a small role to play in educating people about hearing loss – there’s still a lot of stigma attached to hearing aids and people need to get past that. I feel like I’m kinda missing out on the community aspect. Not online, there’s a lot of great HoH people online for sure, but offline I don’t think there is such a good network. In Oxford (UK) there is a hard of hearing group but it only meets on a Weds afternoon when most people are at work/school – I asked about this and was told that it is mostly over-60s that attend so the time is good for them. Which is fine but I do feel the HoH folks do not have such a strong sense of community as deaf people do. Steve – Thank you for your comments! In a sense, my hearing loss has given me a purpose which is help others with hearing loss also. I meet many people who are lost with their hearing loss. I tell them it isn’t the end of the world, it’s a different world is all. *Change* I’m still me, I just have to do things a little differently is all. Sometimes when I read your posts, I feel like I’m reading about myself. Thank you, Chelle. I am enjoying your posts on the SayWhatClub blog. I love your principles! Can I mention #2 on Compassionate Fox Cities on FB? I will link it to your site as well. Colleen – Yes, please do. Thanks so much for the mention. n Compassionate Fox Cities in Facebook.. https://www.facebook.com/CompassionateFoxCities. I appreciate it! I have liked your Facebook page. Appreciate the mention!